Having the ability to meet and network with new people in your trade area. Having the ability to stay in contact with old friends. Having the ability to ”give back” to the organization that has helped you in your professional and personal life. Having the ability to network with others in your professional field to obtain new jobs and opportunities. Having the ability to become a judge at the local, regional, state, and national levels. Having the ability to help at all levels though the school chapter or through the state association. Having the ability to continuously learn in order to improve your skills and make yourself more marketable to future employers. We want anyone who is passionate about SkillsUSA to continue the journey in the Alumni. We designed this web page not only to comminute important information for our members, but also to give information for the future members and corporate sponsors. Alumni meeting dates are held each: September, November, January (Holiday Party) February and the Saturday evening of the state conference. Meeting sites and location will be posted on Facebook and the website calendar for your reference. If your not a member, what are you waiting for? We want you! Join us today by registering free online by visiting our registration page today! I look forward to meeting with you and helping you get involved with the state alumni association. 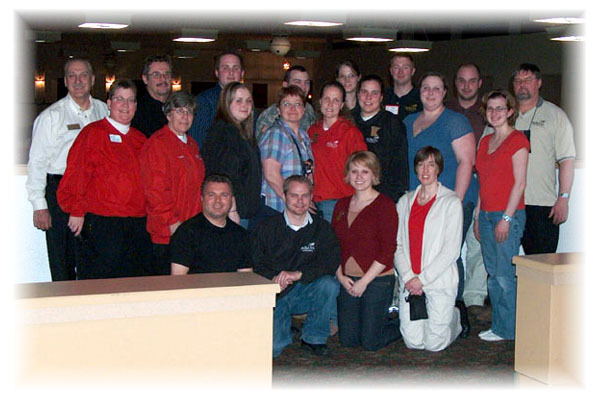 SkillsUSA Alumni & Friends Association mission is to help promote SkillsUSA in terms of time, talent and financial resources at all levels – local, district, state and national.